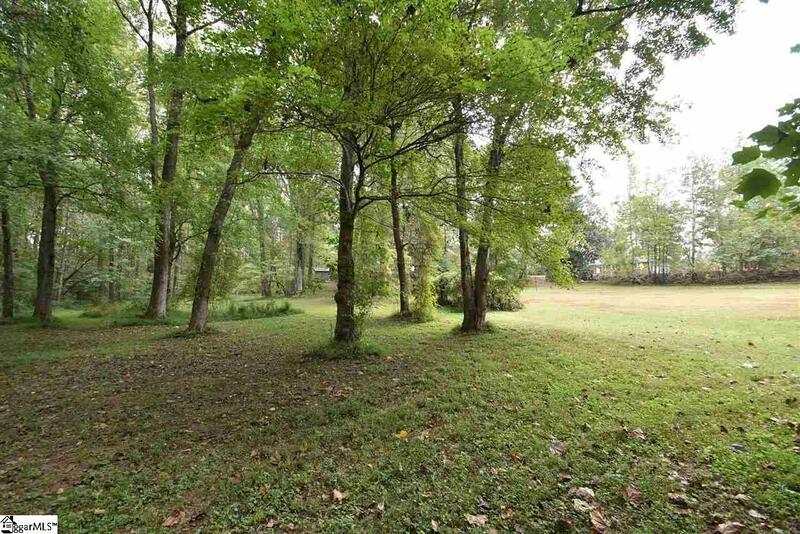 Wow, AMAZING PROPERTY 9.7 ACRES in the center of Easley and mile from the golf course! 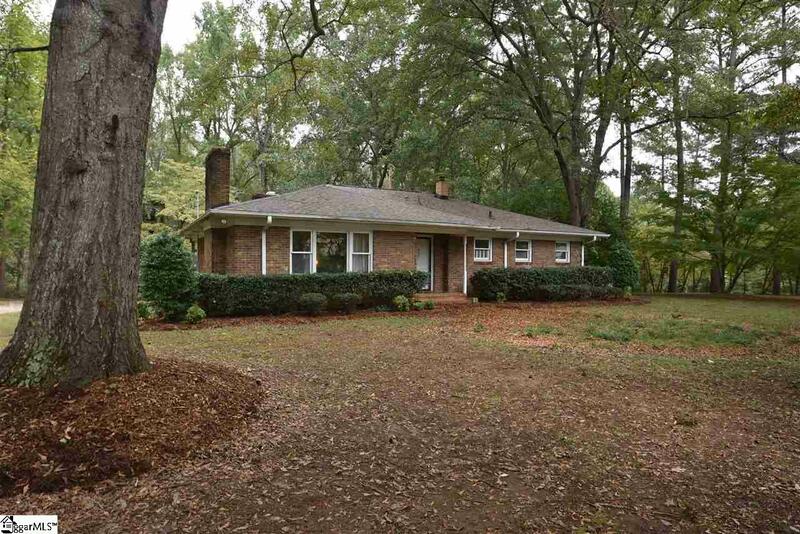 This ALL BRICK home has the PRIVACY you have been looking for with a deep natural area in the back. Sitting on the back 24 x 25 PATIO puts you into a peaceful world with towering mature trees and incredible solitude. There is plenty of open lawn for a whopping big GARDEN, or you could sell large lots on either side of the house and still have plenty of privacy. BIG BIG WORKSHOP check out this 18 x 48 building that has updated wiring and 220v supply. It has 2 big rooms, workbenches, and big metal double doors so you can easily bring in materials. This workshop has seen plenty of woodworking projects completed and is ready for yours! 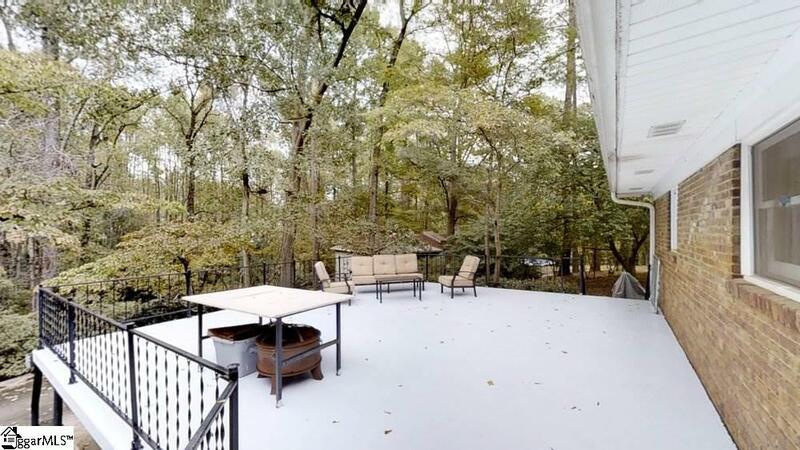 Access all of this with a long CIRCLE DRIVEWAY plenty of parking plus a huge attached carport under the patio with access to the spacious UNFINISHED BASEMENT and stairs up. Inside you will discover an OPEN FLOOR PLAN with nice living space around the kitchen that features a GAS LOGS FIREPLACE, big windows to the back and a door to that fantastic elevated concrete patio. The wrap around kitchen has plenty of counter space with GRANITE COUNTERS, a long peninsula, newer smooth top range, sitting bar, and lots of cabinets. This opens to a large dining room and KEEPING ROOM with gas logs. HARDWOODS run through most of the home and look sharp. The hall bath has been updated and trendy. ROOF and entire HVAC system are less than 5 years old. New electrical main panel. Tons of STORAGE in basement with easy access to the carport. Above ground POOL is only 2 years old and has top quality liner and pad. Another outbuilding has more storage. Established muscadine GRAPE ARBOR will bring you a big harvest. Nice CREEK runs along the right side of the property lots of adventures here for kids! So many possibilities with the acreage check it out. Super close to shopping and it feels like you are almost in the golf course community.